Turin is an excellent mix of the old and new, with turn of the century architecture that has been well-preserved by the city, as well as stylish shops, numerous museums, and a thriving art and fashion scene. Unlike Milan, Turin preserves a sense of old worldliness despite its array of modern amenities, shops, restaurants and cafes. Better still, many of the cafes and restaurants feature regional ingredients and wines that make dining out a truly memorable experience along with an exciting road trip of northwest Italy by Turin motorhome rental, campervan hire and RV rentals. Turin was built upon the money of the House of Savoy, one of the oldest royal families in the world, and the cityscape tells its past in fantastic architectural detail: Turin is filled with Baroque palaces and monuments that pay homage to its royal connections. In addition to the cafes and museums, Turin also offers a wealth of beautiful and historic sites. A motorhome rental in Turin will allow you to easily tour both the city’s royal offerings, as well as those great and worthy countryside landmarks and landscape framed by the Italian Alps. Venturing out in your Turin motorhome hire to the lush countryside reveals wonderful fortresses like the Forte Exilles and the Forte Fenestrelle. Be sure to stop along the way to each landmark and take in the sweeping views. For a great day out on your Turin campervan hire, stop in a local shop to purchase regional cheese, fresh cooked bread, local meats, aromatic herbs and fresh produce, and a great bottle of regional wine for a picnic in the country. 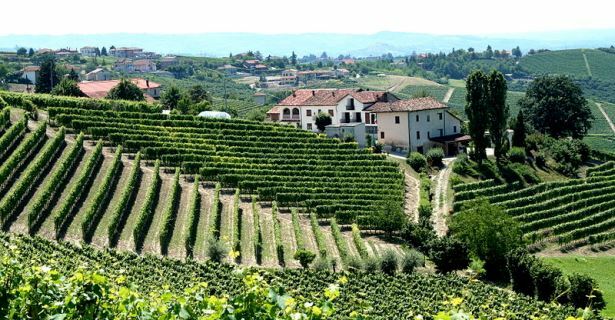 The greater Piedmont region is world-renowned for its Barbaresco, Barolo, Moscato and Dolcetto, as well as the elusive white truffles that you can sample and bring home in abundance if you come between October until mid-November. For sweet treats, don’t miss ‘gelato,’ by far one of the best ice creams in the world. For the wine and cheese aficionados, take your Turin motorhome rental farther out of the city to the Piedmont region on northwestern Italy bordered on three sides by the Alps. Among the rolling hills and towering mountains lies Sacra di San Michele, an ancient abbey teetering on high rocks. Another sight that is not to be missed on your campervan rental in Turin is the UNESCO-listed Sacri Monti, or the Sacred Mountains. Although the Sacri Monti represents an alternate pilgrimage site for Christians at the turn of 15th century, it offers both the religious and non-religious a peek into Italy’s deep history through views of architecture, religious icons, and the beautiful lakes, hills, and forests that surround it. Few cities and regions are built better for motorhome rental than Turin and Piedmont. A motorhome or campervan hire allows you to check out the city in depth, but without the ties that come with a hotel rental. With a camper rental in Turin at your disposal, you’re free to enjoy Turin’s urban offerings, while also hitting the open road and seeing all the sights and natural parks that the greater Piedmont area has to offer.